The San Diego County Board of Supervisors Tuesday took the first step toward creating a $25 million trust fund that will allow county government to directly invest in affordable housing. 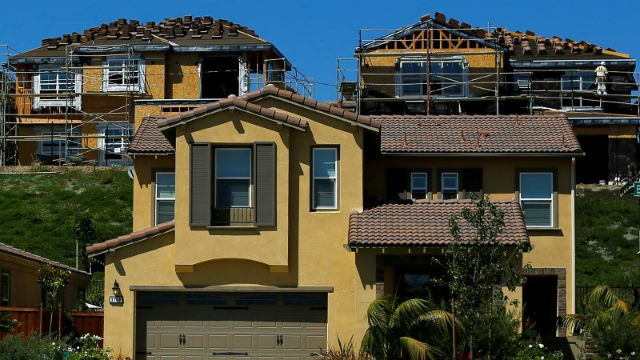 The unanimous vote followed a brief presentation by staff detailing the housing-related hurdles in the San Diego region, including that more than 3,500 affordable units have been lost in the last 20 years. Staff said there are now more than 9,000 homeless people on any given night, a 5 percent increase from last year. Supervisor Ron Roberts said that for the money in the Innovative Housing Trust Fund to be enough, the county needs to partner with the private sector. The aim is to create 1,000 units, each unit averaging $300,000 in development costs, according to the staff presentation. County funds would go to supporting the evaluation, construction, acquisition and/or rehabilitation of affordable housing. Proposals that leverage other funding resources and that would bolster housing opportunities for low-income households would be given priority. Vice Chairman Dianne Jacob said drug testing should be essential when selecting who gets to live in the residences. But she acknowledged there are legal confines to her suggestion. The proposal is one of several made earlier this year by county and San Diego city officials to combat the uptick in homelessness and the lack of affordable housing. The effort seeks to incorporate various approaches to help work-eligible households achieve self-sufficiency and serve the most vulnerable populations in the region. The board will revisit the proposal on Oct. 10 for a final reading. In other action, the supervisors unanimously approved a proposal to pay down part of the county’s pension liability and expressed support for a proposal to make safety improvements to the San Diego-Coronado Bay Bridge that can help reduce suicide attempts.